Manufacturers & designers of quality decorative metalwork. Imagine a beautiful piece of custom wrought iron in your home, a heritage gate welcoming your guests or a unique garden feature. wrought iron gates & fencing. Are you sick of cheap, imported metalwork? Do you value quality Australian made products? If you’re visiting this page, it’s probably because you’ve had a bad experience with cheap, imported metalwork. The saying “you get what you pay for” probably rings true. You might even just want to support a local business. Australian steel used where possible. We too, want to support the local Australian market. then you’ve come to the right place. We deal direct with our clients, some of whom include architects, landscape designers and interior decorators looking for that unique piece to finish a project. Looking to buy a farm gate? 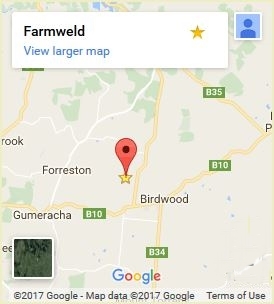 Farmweld has the largest range of unique and reproduction heritage style country gates in Australia. Gates are made to measure and are powder coated to your choice of colour. "We’d recommend your products to our friends and work colleagues. When they see our gate I know they will want one, and probably after a few drinks they will quietly ask me the price and I’ll tell them it was quite reasonable." From candelabras to gates and furniture, traditional or contemporary, to your design or ours. 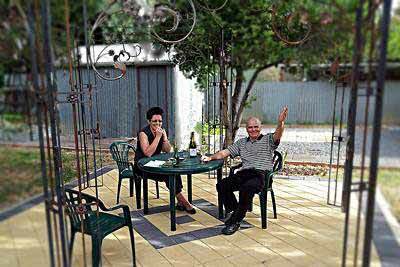 The beauty of wrought iron is timeless and each piece an investment, destined to become a family heirloom. The gates have JUST literally arrived and I have one thing to say…I LOVE THEM!!! They are even more beautiful than I had envisaged. Thank you so much for creating such divine gates ... I think they will do the place and it's history proud. Garden features should be practical and beautiful. You can have a gorgeous focal point using a rose arch, arbour, trellis, tree bench, garden seat, or obelisk. See how we can help you with that perfect piece. "I was really happy with my arch. It was more beautiful than expected & the work & quality is outstanding. I would recommend Farmweld to anyone looking for anything made of steel for the garden. I was really happy with the customer service." Add a focal point or a bit of fun to your garden or interior. Metal art is hand drawn and hand cut with a plasma cutter, from mild steel or sculptors corten steel. Artwork is forged, welded &/or plasma cut. There is a enormous sense of satisfaction knowing there will never be another one like it, that it's personal and unique - designed and crafted by hand. If I had unlimited funds I would purchase one of everything and still commission specific pieces.